Beautifully renovated home on almost 6 acres in the highly desired neighborhood of Indian Creek. 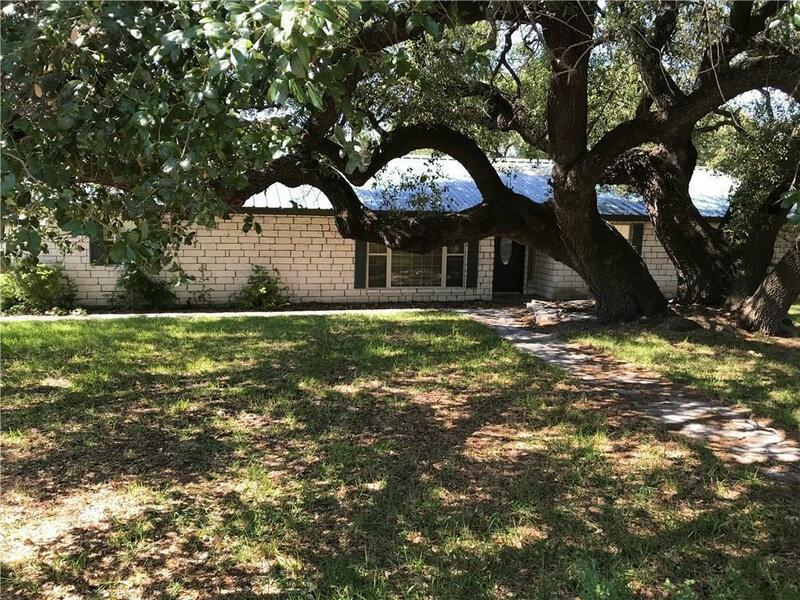 This home sits nestled in five or six huge mature Live Oaks. The home is almost entirely new on the inside and the Austin Stone with the green metal roof is the classic TX ranch style look. It features 3 full bedrooms with a master suite and guest bath as well as a second sitting room or game room off the kitchen. There's a nice large covered back porch and fenced in back yard. A small storage shed is in the back yard as well as a 40X60 insulated metal shop with 3 12 ft. roll up doors, on slab with electric and plumbed for a bathroom. This is move in ready!! Country living on the outskirts of town.